Prime location in modern and thriving Ashwaubenon industrial park offers convenient access and high visibility. 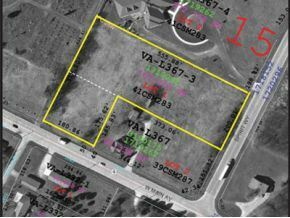 Property may be rezoned for other commercial uses such as office or retail. Parcel may also be sub-divided by the white dashed line on accompanying image. Price to be $322,160 if built to suit with Bay Lakes. Price to be $286,364 if built to suit with lease back. Call for details. $1,987 would be your approximate monthly principal and interest payment. This payment is based on a 30-year loan at a fixed rate of 4.12 % with a down payment of $35,796. Actual lender interest rates and loan programs may vary.